Yes, it is about time…I mean I should try to have SOME standards around here. Today, I’m going to share my latest find in “Mother Earth News” magazine. 1. Fill a clean, 22-ounce plastic squirt bottle with liquid soap (you’ll want to dilute it according to the directions if you’re using a concentrate). 2. Add the essential oils. 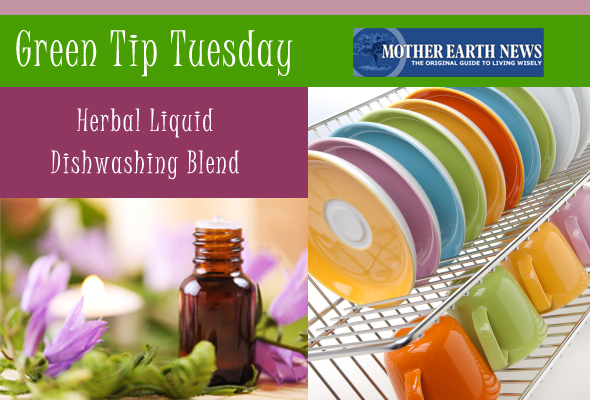 Be sure to shake the bottle before each use adding 1 to 2 tablespoons to your dishwater and wash as usual. They also share recipes for making dishwasher powder, but since we don’t have a dishwasher I won’t be making those. If you’re interested in those recipes though click here to be taken to their site. While you’re there, take a look around. I LOVE this magazine and am certain you will find lots on their site to love too! I LOVE that idea…vanilla smells so wonderful. I’m putting some in my cupboards now! Thanks!